No more “terrible twos”! You’re 2 year old has finally reached that wonderful age of 3. It’s all uphill from here, right? Well, at least until you have to pick out the perfect toy for your now 3-year-old toddler, that is. Try not to worry, we’ve got you covered. Three is that prime toddler age and as such, is a time of discovery, wonder, and activities. Three-year-olds are notorious for being highly active individuals and love constantly to be on the move, which is why fun and attention-grabbing toys are a must-have. This is also a wonderful learning age where young children begin absorbing and remembering information that’s taught to them. Because of these two things, it’s very important to find toys that are physically engaging, while helping things like muscle coordination, mental skills, and toys that help preschool practice. 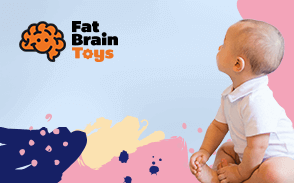 We’ve taken it upon ourselves to find the perfect toys for your busy 3 year old that have proven to be a great source of learning as well as exercise activities. We’re sure that your little one will love each and every one of these items on our list below. On the hunt for a good toy for your favorite toddler? Let us help! Our top ten gifts for three-year-old boys are now available in our brand new buying guide format, complete with ranked listing and clear ratings of criterion! Our recently updated list of the 10 best toys for 3-year-old boys includes a number of new products as well as updated criteria for the selection process. In addition, all product information was reviewed and made current and accurate where necesssary. If your little one loves being outside and wants something to push around, this mower is for them. It’s perfect for your helper to help mow the lawn beside you. The sounds are the same as a real mower, activated by a pull cord so no batteries are even needed for this fun toy. It even comes with a removable gas can. This toy is very kid-friendly. Your toddler will love running around outside and helping mow that lawn beside you. This Little Tikes' mower is the kid version of a real lawn mower. All your child will have to do is pull the cord and you’ll hear the same engine sounds. It comes with its own pretend key, and when your child pushes it, the beads pop. We love this product because it helps keep your little one active. It’s the perfect toy for those nice sunny days and it helps boosts your child's motor skills. These Tinker Toys are perfect for busy hands. This interactive toy comes with 200 vibrant pieces so that your child’s creative side can expand. They can build anything from castles, bicycles, friendly creatures-–the possibilities are endless. These pieces are durable, completely safe and made in the USA. Tinker Toys are easy to assemble and very kid-friendly. The set comes along with 30-page building ideas booklet and a box to store them in. These Tinker Toys also stay together once built, your child won’t have to worry about their favorite creation falling apart unless they say so. Your child will love this toy because it helps with hand-eye coordination, boosts their creativity, and hones their motor skills. would not recommend for anyone under the age of 3 as comes with small parts and could be a choking hazard. We love this product because it helps boosts your toddler’s creativity and motor skills. Squigz is the one of the best suction technology toys on the market; it will be a hit for your 3 year old kid. This promotes fine motor skill growth; this set includes a variety of pips, grippities, yoinks, scooches, a zorbit, a wonkity, and multiple doodles. Depending whether you buy the deluxe kit or the starter kit the number of these items will vary. So give you kid a toy that can ultimately be takin to any surface that has the ability to 'be suctioned to! The bathtub, the car windows, the hardwood floors you name it and a Squig can suction to due to the top quality materials utilized in Fatbrain's products. Over anything else Squigz is a fun and vibrant toy that will keep kids happy and entertained for hours. Start building your collection today of these interesting little suction toys. The texture of a Squig is really what makes it unique to kids and keeps them coming back for hours of play. They are made of 100% silicon so they are likely to have a sort of gripped feel to them and are super easy to keep clean because of this. Dirt and crumbs will roll of your Squigz toys without a problem. Squigz just happens to be one of the funkiest toys on the market. We really like its awesome design and shapes of the toys they are almost 'stress-ball' like to a child. They can be chewed on, slobbered on, suctioned to a variety of surfaces or simply held in your childs tiny hands. Toddlers really enjoy how they look and feel. Cultivate your 3 year old boy’s passion to become the next rock star with the KidiBeats Kids Drum Set. The musical toy for toddlers includes 2 tom-toms, a snare drum, and a colorful cymbal. Children can choose from 4 different modes of play so they will have greater variety in learning and in having fun. It teaches kids about letter and numbers while giving them the chance to beat to the rhythm of 9 melodies. Being able to differentiate between different sounds is an important part of a child’s sensory skills that develop over time. This exciting toy does just that with its three drum faces that each produce a unique individual sound. Your child is exposed to other sounds as well; different genres of music such as pop and rock can be played through the speakers, giving your child an even richer experience. And if your child is having trouble deciphering between the sounds, the friendly follow-along feature can be played. With so many tempos, rhythms, and beats, this beloved set will become a valuable learning tool for your child. It’s one of the favorite gifts of 3 year olds. Parents love it, too as it provides a chance for kids to really engage in more physical activities. It promotes muscle coordination and musicality. Do you think your three year old has what it takes to play in the Major League? With the TotSports T-Ball Set, anything is possible. Kids take a swing at the stationary baseball propped on top of the tee, similar to golf. The tee itself can be adjusted in height so kids can still use it as they grow older. Storage is easy too, as the tee’s base already serves as the holder for all the baseball equipment. A wonderful outdoor toy for growing children. Your son will love trying to hit the ball with large bat as he develops hand-eye coordination. The lightweight plastic construction also ensures that nobody will end up in the hospital if he missed the ball. And the toy is light enough to avoid destroying neighbor windows. As he swings away at the ball his batting skills, motor skills and coordination will improve. It has a unique design allowing for ease of storage. For children, it’s great for promoting hand-eye coordination and arm muscle strength. Great for imaginative play, too. Three year old boys enjoy fun outdoors. Giving them the PlasmaCar Ride On Toy will surely allow them to explore their backyard or even their neighborhood in a more efficient manner. The PlasmaCar is simple to operate. There is no need to charge; no need to pedal either. Unfortunately, it doesn’t really work that well on carpets, sand, gravel, or even grass. What it needs is a hard, flat, and smooth surface. This toy promotes coordination and balance while promoting exercise. Your son will surely strengthen his arm and leg muscles while exploring his amazing world. Children can use their arms or legs to propel them forward through an ingenious mechanism. Especially goof for kids who might not be ready for a full bicycle with pedals. This toy gives them a chance to learn the art of riding without the dangers of falling. It’s excellent for strengthening arm muscles. It also helps promote coordination and balance. Steering requires spatial intelligence as well. Standing more than 3 feet tall, the Little People City Skyway is one gigantic spiraling skyway for a 3 year old boy. You will need to assemble this for your kid, though. But once erected, it is a true marvel to behold. The towering skyway comes with 2 colorful cars that run down the spiraling maze of ramps. Flip a switch and the car takes a different route. There are 3 possible exits at the bottom of the tower, one of which culminates in a fantastic jump. Younger children especially need variety when it comes to toys, which is why this versatile option is the perfect choice. Because it can easily convert from a horizontal highway to a vertical one in minutes, this means you and your child will have double the fun! Each option has a completely different look, which keeps things fresh and interesting. The track styles also curve in unique ways depending on whether it’s straight up or flat, so you’re essentially getting two toys for the price of one! Your little one will be delighted as they send their cars hurling down the various highways. It helps stimulate imagination as well as dexterity. It also promotes problem solving as 3 year olds will have to determine the correct switch to effect a jump outcome. If you are looking for a gift that is truly unique, why not give a 3 year old boy the Magformers Standard Set? This building toy is composed of 30 Neodymium magnetized colorful geometric tiles for easy connection. There are no slots to be wary off as all the tiles can be connected to one another easily and securely using magnets. This toy stimulates a 3-year-old boy’s creativity in amazing ways. Watch the gears turn as he designs and builds geometric shapes. This game also introduces the concept of magnetism in a way that is intuitive for children. The Magformers Standard Set is a great introduction to a STEM education. It’s a unique way to stimulate three year old boy’s creativity in designing and building geometric structures. It also helps in the mastery of color recognition as well as introduce early concepts of magnetism. Fishing involves patience and an understanding of certain principles. With the Pretend & Play Fishing Set, you can now introduce these concepts to your 3 year old boy. The set comes with a colorful multi-pocketed fisherman’s vest, a tackle box, a fishing rod with reel and line, and a fishing net. The tip of the line carries a magnet used to “hook” the 3 colorful fishes with magnets in their mouths. 3-year-old boys are considered too young to handle real-life fishing. But your little angler will be able to hook a big one with this fishing set. When he takes the bait, it’ll give him a fun chance to see what it’s all about. He will look so adorable in his fisherman’s vest and have fun learning the use of a tackle box and fishing rod. With three colorful fishes to play with, he'll have plenty to catch. The perfect distraction during bath when it's time to clean your minnow. It encourages imaginative and make-believe play. Reeling the fish helps improve motor skills while the accompanying activity booklet helps with kids’ writing and doodling skills. Three year old boys are naturally curious about how things work. When you give them the Take-Apart Toy Airplane, you give them the opportunity to disassemble and reassemble a miniature biplane. The kit comes with a power drill complete with 3 drill bits. The airplane is made of 21 different parts so it should be great to see your kid reassemble them. Watch your son's imagination take flight after he spreads his wings with this construction set. Pilots and mechanics will taxi into excellence as they use 21 different parts to disassemble and reassemble their toy airplanes. Watch his motor skills soar as he uses tools to learn the about his world. It’s useful for stimulating problem solving skills while enhancing fine motor skills and hand-eye coordination. Also helps teach kids about the different parts of an airplane. We researched the web and found the top 10 toys that your 3-year-old will not only love but benefit from the most. The tedious search looked at everything about each toy and after extensive comparison, we developed this high-quality list of products. Every toy also offers a different mix of important learning skills. These toys are perfect to help your active toddlers move their bodies. It’s so sad to say but, the U.S. is undergoing an epidemic of childhood obesity. As parents, encouraging children at a very early age that playing outside can be fun and rewarding is a step closer to ending the obesity epidemic. The toys on our list allow a toddler to practice problem-solving skills and at the same time lets them focus on other things as well as using their imagination to get things done. Parents get flustered with the overwhelming selection of toys that they must choose from. There are tens of thousands these days that all claim to be the best of the best. Unfortunately, many parents don’t even have the luxury of time by the end of the day to look through every single suggestion. We decided to help narrow down the list for you by coming up with a list of the top and most common toys for your 3-year-old. We’ve checked the developmental skills of each toy that benefits your toddler. We also looked at safety features including federal certification of each item on our list. We looked at the quality of the design and its usefulness as well as value. We also read the different reviews from other parents and other consumers to see if there were any issues that they might have encountered with the product. If there is one thing that is very indicative of the developmental milestones of a 3-year-old boy, then that would be his ability to play with other children. He is now more cooperative and will already share his toys and other playthings. Additionally, he may already begin to understand the value of waiting for his turn. Playtime activities, therefore, are geared towards teamwork and sharing. This leads to the development of healthier and more beneficial social skills as 3-year-old boys begin to realize that it is a lot better to play with siblings and friends rather than to play alone. This also fosters a beginning sense of independence as they now have the confidence of being “away” from mom and dad and in the company of friends and other children. This increased cooperative play requires good communication and language skills. In fact, child development psychologists say that it is through social play and social interactions that 3-year-olds are able to expand on their vocabulary and further enhance their language and communication skills. Three-year-old boys can begin to read body language and nonverbal cues to enhance their communication skills. That is why it is critical for them to continuously interact with other people, other children, to help refine their understanding of both verbal and nonverbal communication. Cognitively, 3-year-olds are quick to master simple activities especially when these are reinforced. This also leads to a boost in self-confidence and can fuel them to strengthen their focus and concentration on the accomplishment of such activities. Unfortunately, don’t expect them to have the attention span of adults or even older children. So, it is important to choose toys that are really interesting and can capture the attention of 3-year-old boys for a much longer period of time. Did you know that the 3-year-old boy’s favorite question always starts with a “why?” They are now exploring and learning a lot about the world around them so you really have to be patient in answering their questions. It can be quite frustrating to talk with a 3-year-old because of the endless whys you will be bombarded with. Nevertheless, this is important as they are trying to understand and make sense of certain things in their world. Patience is a virtue that you need to have if you have a 3-year-old boy. Because of their natural curiosity and inclination to learn more of the world, they love to play outdoors a lot more. This means they will be playing with sand, mud, stones, leaves, and even insects. They love climbing, running, and walking up and down the stairs. Additionally, they now participate a lot more in active play. Playtime activities that promote the use of both large and small groups of muscles will be important for the 3-year-old boy. Three-year-olds are now more active and more interested in the world around them. It is therefore very important to make sure that they are able to play with toys that allow them to explore and learn more about things in this world. It is for this reason that our list of the 10 best toys for 3-year-old boys will hopefully help you in making the correct choice to give as presents for them. Q: What type of toys should I consider for a 3-year-old boy? A: We all want what’s best for our little 3-year-olds. We want to give them the best opportunities to succeed while letting them enjoy life. While we wish to teach them important lessons and skills in life, all they want to do at that age is play. Luckily, kids learn by playing and educational toys encourage the development of important skills such as creative thinking and muscle development. Q: How to pick early educational toys? Is this a STEM toy? Will my kid learn new skills with this toy? Is there more than one way to play with this toy? Q: What are the different skill sets to look for when purchasing toys? A: Different toys teach different skill sets. If the toys you pick encourage one or more of the following then you should be ok: creative thinking, cognitive skills, motor skills, and soft skills. A: STEM is an acronym that stands for science, technology, engineering, and math. In the future, more jobs will require a strong background in science. Toys that encourage STEM learning will give children a “leg up” over their classmates. STEM toys are meant to strongly enhance divergent thinking, innovative thinking, and develop hand-eye coordination. A: According to the Early Head Start program, cognitive thinking and language skills start at age 3. So it’s important to look for toys that help enhance these skills, right when kids start to comprehend how to think critically and put words and sentences together. Q: Are there any other benefits for a 3-year-old playing with educational toys? A: Playing with educational and physically active toys do not just enhance early developmental skills. They also provide a healthier mentality as children grow older. They are not as depressed as other kids during puberty and have a happier outlook in life when these skills are encouraged at an early age. To learn more, the full article can be purchased online. Q: Can early educational toys help my kid in the future? A: Yes, children who are exposed to early educational toys end up doing well in preschool. Their confidence is high because they can see that they understand the concepts they are being taught in preschool. They can run and play well because they played with physically active toys at an early age. The full text can be requested online.